It is estimated that over 1.7 billion adults, which account for one-third of the world’s adult population, do not have access to formal financial services and majority of them reside in developing countries. The picture is substantially somber for the member countries of Organization of Islamic Conference (OIC). According to the Global Findex Database, 40 out of the 48 OIC member countries represented in this database have formal account penetration rates that were less than the world average of 50 percent. In recent years, rapid advances in financial technology (fintech) has transformed the shape and form of access to financial services and today 69 percent of adults around the world have an account. Against this background, the proposed conference will explore the use of Islamic finance instruments to support financial inclusion, thereby contributing to the fight against poverty and fostering shared prosperity. It will explore policy, regulatory and institutional elements required for the sustainable use of Islamic finance to address financial inclusion. 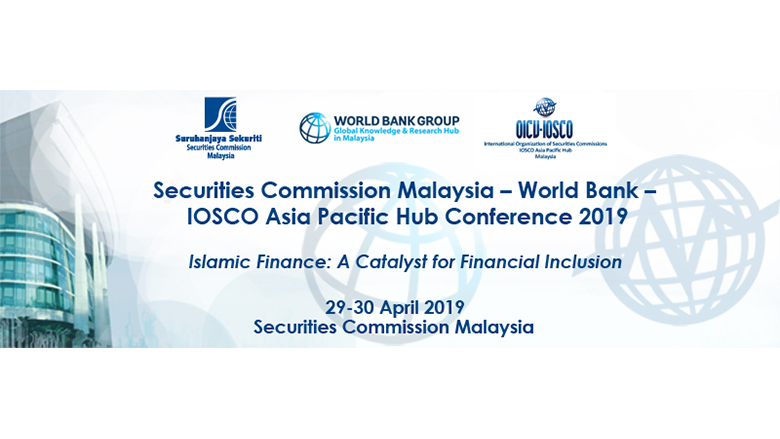 The conference will be delivered in collaboration with the Securities Commission Malaysia and the International Organization of Securities Commissions (IOSCO) Asia Pacific Hub. FEE: No Fees. Participants are responsible for making their own travel and accommodations arrangements. Subject to availability of seats and confirmation by the organizers.